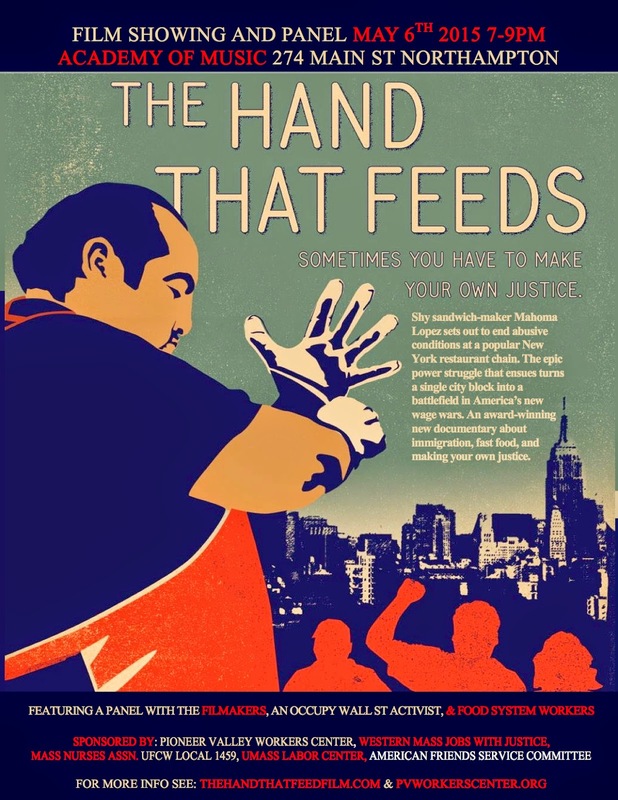 THE HAND THAT FEEDS is an inspiring and uplifting “David & Goliath story” featuring sandwich makers, business owners, organizers, and Occupy Wall Street activists. At a popular bakery café, residents of New York’s Upper East Side get bagels and coffee served with a smile 24 hours a day. But behind the scenes, undocumented immigrant workers face sub-legal wages, dangerous machinery, and abusive managers who will fire them for calling in sick. Mild-mannered sandwich maker Mahoma López has never been interested in politics, but in January 2012, he convinces a small group of his co-workers to fight back. Risking deportation and the loss of their livelihood, the workers team up with a diverse crew of innovative young organizers and take the unusual step of forming their own independent union, launching themselves on a journey that will test the limits of their resolve. After the film there will be a question and answer period with the filmmakers along with a lively panel of local workers who have stood up and won in their workplaces. Tickets are available on our website or from the Academy of Music (discount tickets are available here or by contacting the Workers Center). CATALYST DANCERS perform at the Academy of Music!